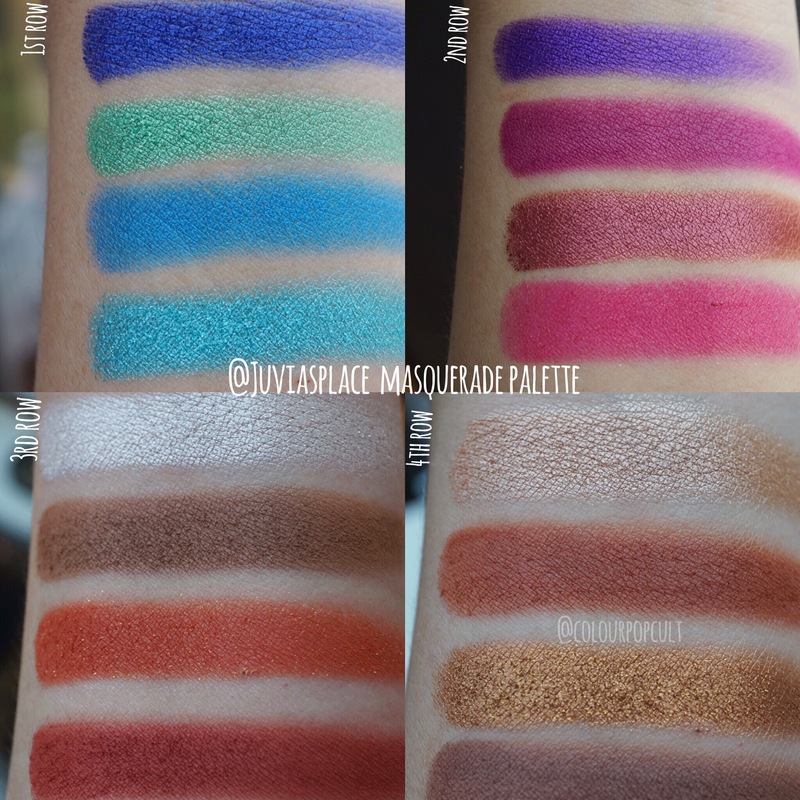 Juvia’s place Masquerade palette – second set of swatches! And you thought you were free for the night huh? @juviasplace MASQUERADE Palette!!!! Full of pigment and with a variation of mattes and shimmers, bold colors and neutrals. These neutrals are t you’s standard Browns and oranges either – that lower left shade? The orange one? Has gold microglitter but you can sheer it out as a transition shade too. The pans are large like her predecesor The Nubian 2 And The packaging is a sturdy hot pink cardboard with the same Nubian women from before only this time they seem to have a sheer mask- evoking the theme the palette was named after. Great value for the price considering the amount and the quality of product you get and the mix of shades- there is plenty of color for the wild and plenty of subdued shades for those that go for the classic style. Current price is $32.50 but you can save 10% with code TANNER10 (affil) – that’s @angelamarytanner ‘s code, she also swatched these babies on a previous post so check those out!